I've been avidly following the career of Marisa Silver since she was first published in The New Yorker. 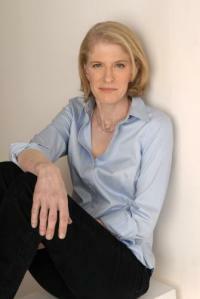 She's the author of Babe in Paradise, A New York Times Notable Book of the Year and a Los Angeles Times Best Book of the Year; No Direction Home; The God of War, which was a finalist for the Los Angeles Times Book Prize for Fiction; and Alone with You, winner of the O. Henry Prize. 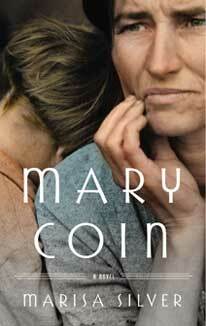 Her new novel, Mary Coin, is already a New York Times bestseller, and it's one of the most provocative and gorgeous novels I've ever read, and which uses the famous Dorothea Lange photograph, "Migrant Mother" as the jumping off point for a brilliantly imagined story of photographer and subject. I'm so honored to have Marisa here. Thank you, Marisa, so very much. What sparked this particular book, and why did you choose to fictionalize the characters? A few years ago, I went to an exhibit focusing on photography of the West at The Museum of Modern Art in New York City. Lange's famous photo was part of the exhibition. I had seen the image many, many times and was always drawn to the woman's face, which seems to me such a mixture of strength and resignation, as well as to the curious composition of the photograph  the way the children face away from the camera. But what struck me seeing the photo this time was not the image itself but what was written on the curatorial label next to the image. The description noted that the woman in the photograph did not reveal who she was until she was sick and dying, when she appealed for help from the public in order to pay for her medical care. This fact struck me powerfully. Here was a woman who was the subject of, arguably, one of the most famous images of the twentieth century and who, for the better part of her life, did not lay claim to this legacy. I was immediately filled with questions. Did she choose her anonymity or was it chosen for her? Was there something about the taking of the photograph, and its subsequent ubiquity that troubled her? And what must it have meant to her, nearing the end of her life and in a time of physical duress, to have made the decision to finally reveal herself? One of the central ideas that I deal with in Mary Coin is how history is made, how it is preserved, and how it is interpreted. The photograph taken by Dorothea Lange, Migrant Mother, was rooted in time and place. Then the photo began its journey. It became an inadvertent icon and made its way down through the generations in all sorts of forms  as an exhibit in museums, as a document in textbooks, even as a U.S. postage stamp. The life of the original object was interpreted and reinterpreted, and, as a piece of history, it adopted meanings and values that were different from those in play at the moment of its making. I based the characters of Mary Coin and Vera Dare on Dorothea Lange and Florence Owens Thompson, actual people in history. But I was less interested in trying to document the real and verifiable facts of those women's lives than I was in exploring the nature of interpretation. 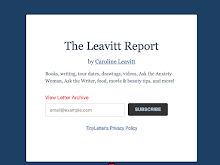 Fictionalizing the lives, and allowing myself to invent on top of a framework of facts, enabled me to deal with these themes not only as part of the text, but as part of the making of the text. There's a thread in the book about whether or not art can be immoral. While the portrait of Mary Coin is a testament to a hugely difficult time in American history, Mary also sees it as an invasion. How do you think art can juggle this division--and is there ever a time when it shouldnt? That is such an important question. When the artist confronts human suffering, is it immoral simply to document that suffering, or to make art out of it? Is the only moral position to involve oneself and try to alleviate that suffering in a more immediate way? War photographers deal with this issue all the time. Their position, of course, is that they are endeavoring to alleviate the tragedy by exposing it broadly. But what does that do for the person in that photograph who is desperate for help at the exact moment of the photographs taking? In Mary Coin, the photographer, Vera Dare, realizes that the portrait she has taken will draw attention to the plight of the migrant workers. But she also knows that aid might not reach Mary and her children specifically. I'm not sure there is a single answer to the question about morality in art. I think everyone will draw different lines in the sand as to what the moral stance of the artist should be. Wherever that line lies, though, I believe there is a moral consequence to the making of art. In the case of a photographer and a subject, an uneasy bargain is struck even if one is not overly articulated. A person can agree to be photographed, but in doing so, she relinquishes some control over her identity. She does not determine how the aesthetics of the image  the framing, the angle, the lighting  will shape how she is seen. And she cannot really fathom what the effect her exposure will have on her life, in terms of being seen by others, and having allowed herself to become a kind of object. The artist is in control of the aesthetics, which contain so much meaning. But the ethical ramifications of making an image will live with her. She will always have taken that picture, altered the real life of her subject for her own purposes. That is the artists burden to bear. I suppose what would be immoral would be to not recognize the weight of that responsibility, to act as if there were no ethical consequence to be shouldered when one takes a living person and makes them into an artifact. There's so much in the book about the power of photography, about what we choose to focus on, and what we ignore, and why. Can you talk about that a bit, please? Books have been written about this so it would be hard to sum up the subject in a few sentences, but I can talk about how this issue is explored in the context of Mary Coin. Walker Dodge, the contemporary historian in the novel, talks to his students about the difference between looking and seeing. Photography is an interesting form because it is one that is practiced not only by artists, but by everyone. We are a planet of image-makers. Instamatic... instagram, the message is that life can be captured and fixed in an instant. And then we move on to the next thing. And I think, because of the democracy of the process, and the ubiquity of the product, we have a more casual, and maybe less conscious attitude about looking at a photograph, especially one that is more documentary in nature. We tend to take those images at face value, consider them to be simple representations of reality, when in fact, there is really no such thing. The minute someone frames the world, he makes a choice of what to include and what to leave out. He is making a judgment about what is important, what he wants others to see. He is positioning himself at a certain distance from the subject, and that distance suggests an attitude, a particular point of view. All these choices alter reality. When we study a photograph carefully, we have to look beyond the frame. I researched the lives of Dorothea Lange and Florence Owens Thompson, the woman in Langes photograph, Migrant Mother. I researched the times in which the women lived  early twentieth century New Jersey and New York, San Francisco in the twenties and thirties, Eastern Oklahoma at the turn of the last century, Central California during the Depression. I researched logging and cotton picking and orange growing and nineteenth century land deeds. I researched what kind of carnival rides might have come through a small Midwestern town in 1910, and what an abortion might have been like for a poor woman in a rural area in the nineteen thirties. The research went on and on and all of it was fascinating and surprising. One of my favorite moments was when I discovered a website that tracks word usage over time. So, for instance, I could find out when the world motel came into the lexicon. Language usage is such a window into the culture and mores of a moment. What's your writing life like? Do you have rituals? Do you plan things out? What kinds of ideas tend to capture your interest? If I'm being very, very good, I write three pages a day. Then I stop, hopefully mid-idea so that the following day I know exactly where to begin. Although usually I begin by going backwards and revising what I wrote the day before as a way to get a tonal running start on the days work. Tone is everything. 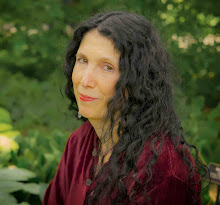 I have to catch the right frequency in order to be writing well, and tone shifts and morphs all over the place, especially at the beginning of a project, when I am not yet certain of my point of view on my subject, on the dominant voice, or where I want the reader to be in relationship to my characters. Lots of tea is consumed. Lots of books are read. I write in my bedroom and the bed is always right behind me, beckoning. Sometimes it is very persuasive. Whats obsessing you now and why? I have been wandering around the territory of a few very disparate ideas lately. I am trying to find out why they are in my head at the same time and if they might be connected in some obscure way. If I can figure that out, I might know what it is I am going to work on next. What an insightful interview, Caroline and Marisa. As an author, I especially appreciated your ideas on research and your writing process. Thank you for sharing that. Sneak listen of Is This Tomorrow audiobook!